Straps are no longer being sold by myself direct to buyers/users. Sole distribution is now through Z-Cars. Link & more details to follow. 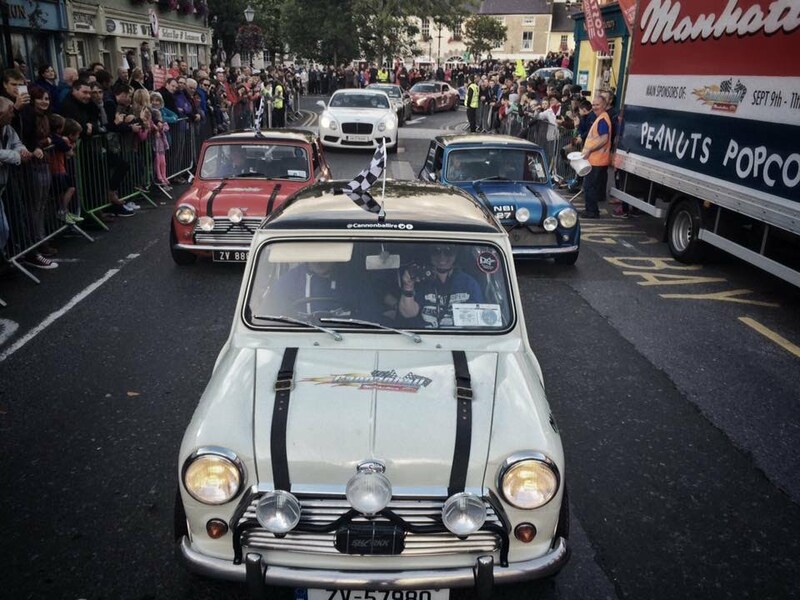 Three sets of my Italian Job straps were supplied to a custom car builder in Ireland. they were awarded "Car of the Show" in the 2016 Cannonball Run! Better brass buckles have now been sourced for my Italian Job bonnet straps. These are flatter in profile and more rectangular in shape then the buckles I used 13 years ago. bigger screen TV sets and digital technology have their uses! so I now also offer such eyelets on my Italian Job bonnet straps, at no extra charge. Note the reflection from the eyelets; a tiny detail - but the devil is in the detail. my replica leather bonnet straps are once more available to those purists seeking the best available option in bespoke "Italian Job" replicas. 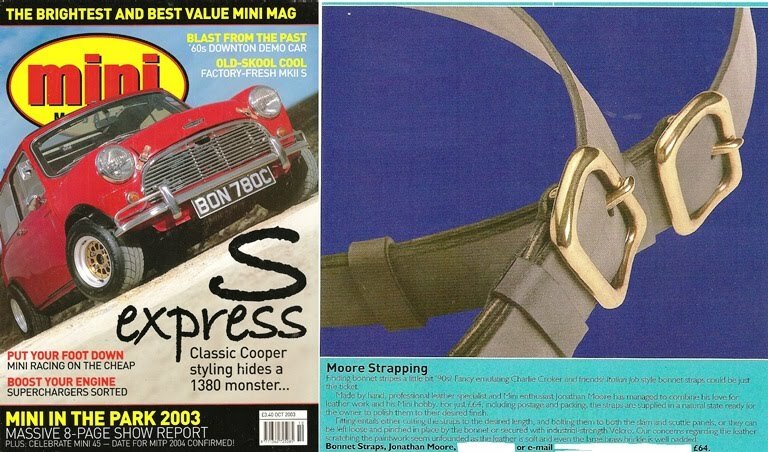 After about 2 years of backward & forward research, my finished design of replica bonnet straps was launched in the Oct 2003 issue of Mini World. Note the 2003 price - £66 - they've not gone up by much in 15 years, unlike the rip-off Royal Mail increases!! so I stopped offering them as interest seemed to have fallen off. The London Mini Centre stocked my Italian Job bonnet straps too for a while & they always had positive feedback on the sets that they sold. Remy Julienne (in baseball cap) next to one of the three restored Italian Job cars; with a set of my original 2003 bonnet straps in place. David Salamone can be seen on the passenger side of the mini. In the 1969 Italian Job movie, David drove the mini that carried "Charlie Croker" (Sir Michael Caine) in the getaway!